Thanks in large part to BP and the government's inept handling of the Gulf Coast oil spill, we're going through one of the worst ecological disasters in American history. But there are some things we can do to help. BP's been touting figures measuring the spill at 5,000 barrels per day—scientists who have studied video and satellite images estimate that there is actually 26,500 barrels of crude spewing in to the Gulf each day, with some saying it could be as high as 100,000 barrels. BP suggests that 11,550,000 gallons of oil (roughly equivalent to the amount of oil spilled by the Exxon Valdez) have been released from the well since the beginning of the crisis. Realistic estimations indicate that there have been at least 54,894,000 gallons spilled, or at least 5.2 Exxon Valdez—and there could be that much flowing into the Gulf every five days. BP has only recently released some high-resolution video from the well—and it's footage from June 3. We must demand that all pertinent information be exposed for transparent analysis immediately. Image: The oil slick viewed on June 10 by NASA's Aqua satellite. There are several groups accepting donations. The folks over at The Venture Bros. are selling off production drawings with proceeds going to The Colbert Nation Gulf of America Fund. The Coalition to Restore Coastal Louisiana, the Audubon Society and the National Wildlife Federation are focusing their efforts on the ecological and environmental effects of the BP oil spill. The Louisiana Bucket Brigade, a watchdog and monitoring organization, is asking for help to continue their work in the Gulf. Images of oil soaked and dying wildlife are heartbreaking, but it's important to keep in mind how deeply the crisis is affecting coastal communities that rely on the ocean. The Greater New Orleans Foundation and Oxfam offer support to communities who were previously sustained by the fisheries and tourism destinations now poisoned with crude. For those who live near the Gulf, there are several volunteer groups looking for help. Networked Organisms and Habitats (NOAH) is asking for reports on where and how the spill is affecting wildlife. 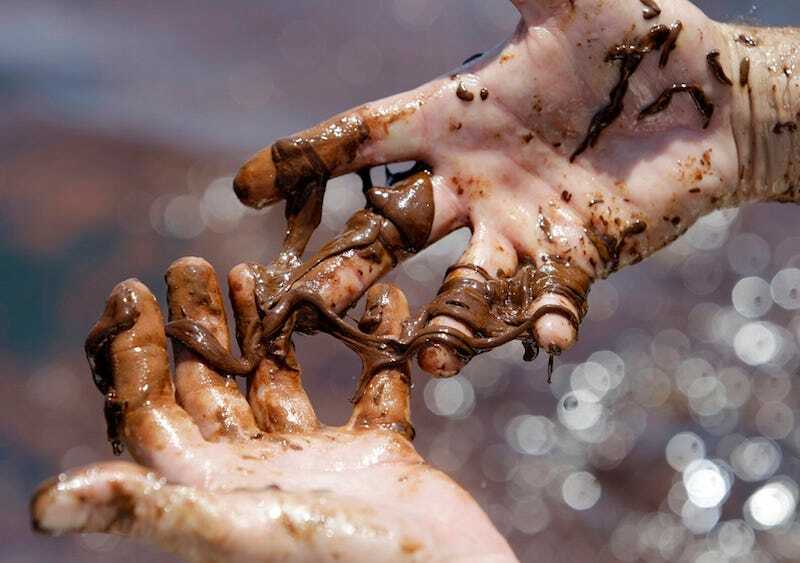 Locals with training can also sign up with the Oil Spill Volunteer or the Oiled Wildlife Care network and assist with beach and wildlife cleanup, though be sure you're aware of the potential risks associated with working around crude before you venture out. The Grassroots project is taking donations for kite-camera kits volunteers can use to image various portions of the coastline. Special thanks to John Amos and skytruth.org.